When the Louisiana Legislature isn’t in session in Baton Rouge, state Sen. Danny Martiny spends his days in his small law office 80 miles away defending law enforcement agencies. His biggest client, bar none, is the Jefferson Parish Sheriff’s Office. In 2016, the Sheriff’s Office and its insurance company paid Martiny’s firm $836,266 for this work, according to public records. But on legally mandated disclosure forms that legislators must file with the state ethics office, Martiny listed far more modest earnings from the sheriff that year: $13,328. Martiny, a Metairie Republican, is complying with the state’s ethics laws, but the wide gulf between what he was paid and what he disclosed shows how these rules are full of loopholes and allow legislators to minimize the income they’ve received from public sources, ethics experts said. Martiny isn’t the only one whose forms don’t tell the whole story. State Sen. Eric LaFleur, a Democrat from Ville Platte, is a bond attorney in the law firm Mahtook and LaFleur. More than 100 times since 2005, he has represented local governments and other public entities issuing bonds. On his state disclosures, however, there is no mention of the vast array of public contracts his firm has — or how much money he has earned from them. The same goes for state Rep. Stephen Dwight, a Republican from Lake Charles. His online biography calls him the general counsel for the Calcasieu Parish Sheriff’s Office. But his disclosure doesn’t list any income from the sheriff. Martiny, LaFleur and Dwight all say they are following the law. Gov. Bobby Jindal hailed Louisiana’s ethics laws as a “gold standard” of transparency when he persuaded the Legislature to pass them a decade ago. Among other things, the laws require legislators to disclose their direct earnings from public agencies to ensure that the public knows when a lawmaker has a potential conflict of interest. Part-time legislators often work in the public sector or have contracts with public entities, and these two worlds can intersect when they’re casting votes in the state Capitol. But the laws appear to be easy to circumvent because they allow public agencies to route money through third parties — including a public official’s own private firm — removing, in effect, any onus for meaningful disclosure. The gap between Martiny’s pay and what he disclosed came to light recently during a contentious election for Jefferson Parish sheriff, one of the most powerful political posts in the state. Joe Lopinto, a former legislator who ultimately won the election, previously worked for Martiny’s law firm. And Lopinto’s opponent in the race, John Fortunato, sought to make hay of the millions of dollars paid by the Sheriff’s Office to Martiny’s firm over the years, including while Lopinto worked there. Martiny, the sole owner of the firm, said he employs between three and five other attorneys at any given time. He said the firm handles about 40 cases from the Sheriff’s Office each year. From 2005 to 2016, the Jefferson Parish Sheriff’s Office and its insurance company paid Martiny’s firm $7.8 million in attorneys’ fees and costs, according to public records. But over the same period of time, on his disclosure forms, Martiny reported receiving just $1.2 million. The other $6.6 million was paid to his firm through a third-party administrator — a quasi-public organization called the Louisiana Sheriffs’ Law Enforcement Program. The program was put into state law so sheriffs could group together and self-insure for lawsuits and liability claims filed against their deputies and employees. The Jefferson Parish Sheriff’s Office isn’t the only public client Martiny has had. The Louisiana Sheriff’s Law Enforcement Program also paid Martiny & Associates about $82,000 for representing the Plaquemines Parish Sheriff’s Office from 2014 to 2016, according to data obtained through a public records request filed by The Advocate. That money did not have to be reported — and was not — on Martiny’s financial disclosures. Martiny said he cleared his reporting process directly with the state Ethics Board. Kathleen Allen, an Ethics Board administrator, said she was unfamiliar with the specifics of Martiny’s situation, but noted that the question about whether he was accountable for reporting the money came down to the exact wording in state law. The Louisiana Sheriffs’ Law Enforcement Program operates on the public dime. It’s run by a board of sheriffs who are public officials. It must abide by public records laws and is subject to auditing by the state Legislative Auditor’s Office. But it’s not technically considered a “political subdivision,” like a sheriff’s office or a local government entity is, according to a 2015 state attorney general opinion. 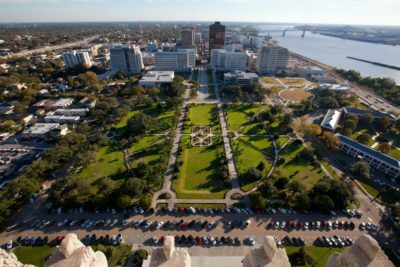 Robert Travis Scott, president of the Public Affairs Research Council of Louisiana, a good-government nonprofit, said it’s an area of the law that may need tweaking. Because public money is often paid to elected officials indirectly, particularly through contracts with private firms, it’s easy for legislators not to report it on their disclosures. LaFleur, for example, isn’t just a bond attorney. He’s also a member of the state Bond Commission, which must approve bonds issued by local governments. In that capacity, he frequently has to recuse himself from votes because either he or another member of his firm is representing the project seeking funding. Dwight, whose online biography calls him the general counsel for the Calcasieu Parish Sheriff’s Office, also said he’s following the rules. In an interview, he clarified that the law firm owned by his father, where he works, actually serves as general counsel. 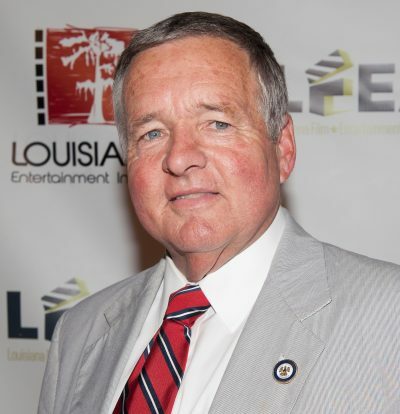 Dwight said the Calcasieu Parish Sheriff’s Office is one of the firm’s top clients — making up about 25 percent to 30 percent of its business — but because he’s not paid directly by the sheriff, he doesn’t have to disclose the relationship in his ethics forms. He also noted he collects a set salary from the firm, so he wouldn’t be able to break down what portion of his earnings is derived from the Sheriff’s Office. Some lawmakers said they disclose any public money they receive in an abundance of caution, even if the law doesn’t require it. State Sen. Rick Ward, R-Port Allen, does legal work for the West Baton Rouge Parish Sheriff’s Office and other local government bodies. On his 2016 disclosure, he reported receiving a monthly salary of $1,000 for work for the Plaquemine City Court and $32,400 a year from the Sheriff’s Office. Ward noted that he’s not an employee of the Sheriff’s Office and represents it via a contract through his law firm. So he’d be within his legal right to simply list the name of his law firm and check a broad salary range for his annual income, as Dwight and others do. When Jindal ran for governor in 2007, he campaigned on a promise to overhaul Louisiana’s weak ethics laws and clean up the state’s reputation for political corruption. He said a trustworthy and transparent government would improve economic development because the state would be more attractive to outside businesses. Upon taking office, Jindal’s administration helped usher in laws that required elected officials to disclose their personal finances, curbed out-of-control lobbyist expenditures and established rules on the entry of government officials into the private sector. At the time it was passed, the Center for Public Integrity gave Louisiana’s new personal finance disclosure law 99 out of a possible 100 points, ranking it one of the top such laws in the nation. “You didn’t know what their income sources were at all. None of their bios would tell you very much,” he said. But it didn’t take long for Jindal’s “gold standard” to begin losing its luster. Within a year, the chairman of the state legislative committee whose job it was to oversee ethics laws was charged by the new state Ethics Board with seven violations. The board charged that it was a conflict of interest for then-state Rep. Rick Gallot, D-Ruston, to represent a nonprofit that frequently did business with Grambling University and the University of Louisiana system board, of which his mother was a sitting member. Gallot, who is now Grambling’s president, eventually got all of the charges dropped because the Ethics Board waited too long to prosecute them. Under a law that was pushed by Gallot’s committee, the deadline to pursue charges by the Ethics Board shrank from two years to one. By 2015, the Center for Public Integrity was no longer complimenting Louisiana. It gave the state an “F” for integrity, ranking it 41st in the country on measures including legislative accountability and lobbying disclosure. In particular, it dinged Louisiana’s laws for loopholes that weakened enforcement. What’s become apparent over the years is that even if a lawmaker is caught breaking the rules, at worst the offender faces a late fee. Allen, the ethics board administrator, said there’s no penalty under the law for listing incorrect information on personal finance disclosures. If her staff of five finds mistakes, or if complaints are filed about falsehoods, the office can issue a seven-day notice to update the information accurately. If lawmakers don’t file the change by the deadline, they can be subjected to a late fee of $100 a day, with a maximum penalty of $2,500. Allen said her office issues fines routinely. Allen also acknowledged that her staff is primarily looking for surface-level mistakes, such as missing information, and making sure the forms are correctly filled out. It does not routinely investigate the veracity of the reports in any detail. Even obvious mistakes often go unnoticed. For instance, legislators sometimes fail to report the salaries they earn for the office they hold — the position that triggers the reporting requirement in the first place. During the recent Jefferson Parish sheriff’s race, Lopinto admitted to making such an oversight on his 2014 disclosure, after being called out by his opponent. He failed to report $37,800 he earned as a state representative that year. But nobody called out the omission until this year’s campaign. It’s perhaps a minor mistake, but Stonecipher says it shows lawmakers and other elected officials that no one is watching. ProPublica is teaming up with The Advocate to explore conflicts of interest in the Louisiana Legislature this year. What should we investigate? Email [email protected]. Rebekah Allen is an investigations and special projects reporter for The Advocate. Email her at [email protected] and follow her on Twitter @rebekahallen.